If you are new to the kid lit community WELCOME! If you are already swimming with us in the waters of children's literature then you know how incredible this community is! I dove in head first in 2013 and haven't looked back. This community has been an amazing source of information, resource and camaraderie. Below are my favorite spots that I go back to again and again. ​First stop, become a member of SCBWI, Society of Children's Book Writers and Illustrators. 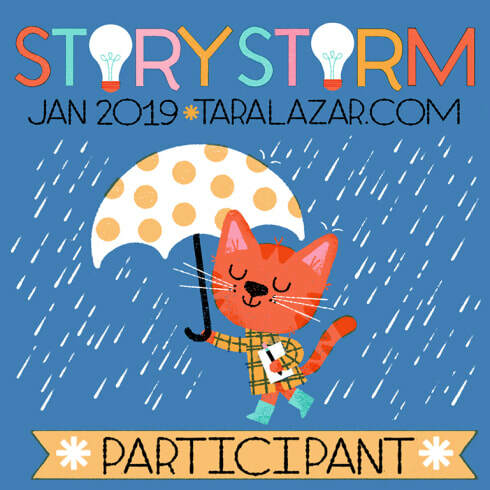 Connect with other children's literature creators online and in-person. ​A one stop spot for all things kid lit. Be sure to check out all of the wonderful features and sign up for the Weekly 411. Best group for any picture book writer. Join over 500 other PB writers in a year long challenge to write/revise a manuscript a month all year. Multiple membership levels available. Sign up in January-February when the registration window is open. Start your year right by joining in the challenge to come up with 30 Book ideas in 30 days in January! It could a title, a character, anything.Story Storm (the challenge formerly known as PiBoIdMo) includes daily posts to fuel creativity, provide inspiration and support. Through out the year Tara's blog is a great source of knowledge as well!